Norway’s central bank has released a bizarre music video promoting the imminent launch of its new banknotes, which feature the national fish, the cod, on them. 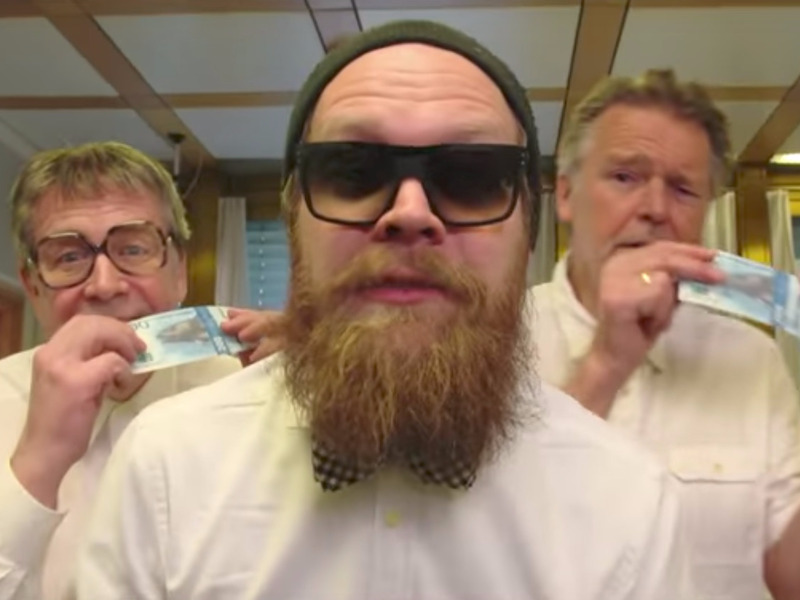 Norwegian comedy trio KLM feature in the video, released by Norges Bank, singing about the launch of the new “Cod Kroner” to the tune of “I Will Follow Him,” the pop song best known for featuring in Sister Act. KLM have already recorded a spoof of the song with the title “The Cod is Coming” and it appears that the spoof has been updated to celebrate the new notes.